Alice was getting very tired sitting looking out of the tall windows watching the rain, drip dropping on the window pane, the slow ticking of the old grandfather clock in the corner adding to the endless monotony. She idly traced the path of one such drip as it travelled on its way. “Why does it always rain on days that end in day?” thought Alice, which rather surprised her as days were always days and a day was a day like any other day. All this rather confused Alice which was also surprising for a lady a little short of half a century who really should know better than to have such fanciful thoughts. Placed carefully in the window bottom was a small rectangular parcel, quite scruffily wrapped in brown paper with a disused orange marmalade label sealing the folds. On the front it was addressed quite simply to ‘ALICE’ followed by a thumb print of the finest jam. Alice knew it was jam as it still had a few pips attached. It had arrived unexpectedly in an unexpected way as unexpected things do that very morning when a tiny knock on the door disturbed Alice from reading her book. It lay on the doorstep with not a soul in view. “Well!” thought Alice to herself. “How rude! They could of at least have said hello!”. It was placed in the window bottom for later, Alice didn’t have many surprises and wanted this one to last a while longer. You may remember Alice from her adventures many years ago, you may have even read about them; Alice however refused to believe that she had been on adventures, she even refused to believe in Hatters and Caterpillars and Queens Of Hearts nor Gryphon’s or Cats from Cheshire and far. As for Wonderland she spoke no more, in fact the whole imagined episode was becoming a farcical bore. 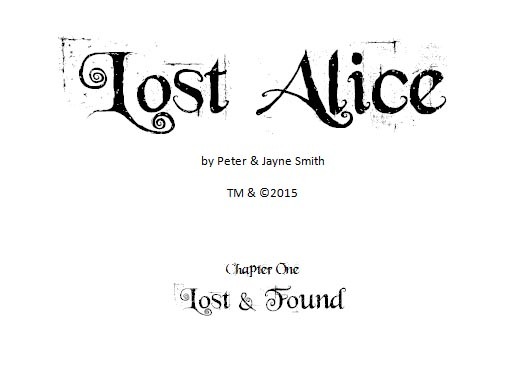 A special something that even Alice wasn’t aware she had lost in the first place.